Widely used as large ornamental shade trees Phoenix canariensis are a tall growing palm tree found both in street plantings, commercial developments as well as in larger home gardens. Phoenix canariensis or Canary Island Palm is NOT the tree that produces edible dates, this is Phoenix dactyliferaPhoenix dactylifera a different species. Reaching up to 30m in height (sometimes more, but often less) depending on conditions these trees require a sunny position and a well drained soil. They will easily grow as far south as Melbourne. One of the more versatile palm trees in terms of climate, growing form tropical areas right through to cool temperate areas of Australia. Full sun and a well drained soil are best although they will adapt to shade and can cope with periodic flooding. Plants are trimmed to create collars in some instances. Larger specimens are available for sale and are tranplanted successfully by experienced contractors. Australia’s leading supplier, exporter and transplanter of Canary Island Date Palms (Phoenix Canariensis) Maintenance service available. Experienced suppliers of advanced ex-ground palms & trees. Large stocks of Canary Island Date Palms on hand. Contract digging and relocation, plus palm maintainence service. 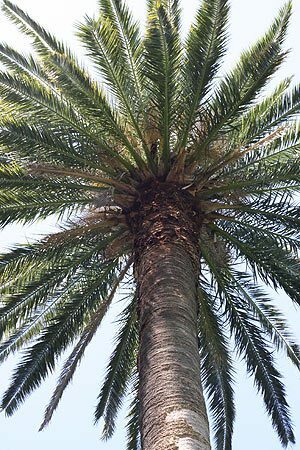 Peeldale Palms, wholesale and retail palm growers.Our tough sun hardened landscape palms are grown from seed and matured through to strong landscape stock. Specialising in 25 litre bags, being both easily managed and affordable by the end user.